Jordan Mendell founded Ando Media with Robert Maccini in 2004 and served as Chief Technology Officer and Head of Research and Development. As CTO, Mendell had oversight of product management, design & development, technical operations and pre/post-sales support. He was responsible for building the framework and team necessary to support Ando Media’s incredibly fast paced growth both through organic customer acquisition and M&A activity. Ando Media’s two primary products, Webcast Metrics and Ad Injector are used to measure and monetize Internet radio ad inventory. Mr. Mendell conceptualized and was the primary creator of both products. Between 2004 and 2008, the company added more than 7,000 terrestrial and Internet only stations to its list of clients and is currently the only MRC Accredited Measurement system in the Internet Radio space. Under Mendell’s technical direction, the company achieved substantial and sustained cash flow growth leading to a favorable exit for its founders and investors. Currently, Mendell serves as the Head of Mobile for DraftKings, a venture backed Daily Fantasy Sports company, which he is also an investor. 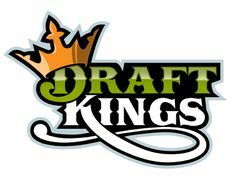 He is responsible for product development and distribution of the DraftKings flagship mobile applications and mobile-web real money gaming platforms which have been downloaded more than half a million times across iPhone and Android stores.